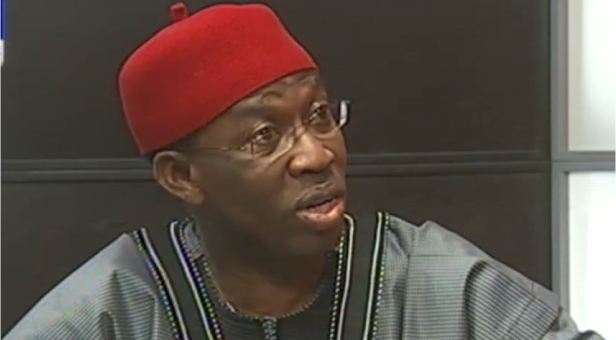 The Chairman of the Peoples Democratic Party (PDP) National Convention Committee and Governor of Delta State, Ifeanyi Okowa, yesterday expressed optimism that the party will be more united, following its upcoming convention on December 9. He said as a result, the PDP will be a much stronger force to contend with in the 2019 presidential election. Governor Okowa made this known on Channels Television’s Politics Today while addressing issues that have so far been raised as the convention date draws near. Reacting to reports that the Chairman of the electoral panel, Gabriel Suswam, who is also the former governor of Benue state, had declared support for a candidate, he said: “I’m not aware that he has declared support for any particular candidate but even if he has any sentiments for anyone, he will not be in a position at all, on the convention day to do anything that is unjust. We are going to adopt the open secret ballot system of voting. “We have also put in place a credible team to ensure reconciliation of party members who may feel aggrieved going forward after the convention,” he added. Speaking further and reacting to the defection of a former Head of State, Atiku Abubakar, to the PDP, Governor Okowa noted that there was strength in numbers and that the party will always welcome as many persons as possible. “We believe that as many persons that come into the PDP is good for us because it will help to strengthen the party because politics is one that is inclusive, the more persons you get into the party, the greater the strength of the party.